Asus is a company that was always focused on producing high quality desktop components only but things are changing slowly. After the grand success of Asus Fonepad voice-calling tablets, it is set to make its mark in the smartphone segment. The newly introduced ZenFone 4, ZenFone 5 & ZenFone 6 are a proof of that. The ZenFone line of smart phones promises great performance at affordable prices. All these phones were initially debuted at CES and will be officially launched in India on July 9. I got a chance to lay my hands on ZenFone 5 ahead of its launch and got pretty impressed with this device but in a market that is already overcrowded with competitors such as Nokia Lumia 630, Blackberry Z3 & Moto G, will the ZenFone 5 be able to make its mark in Indian market? Continue reading the article to know its first impressions. The new Asus ZenFone 5 has an excellent ergonomic design that can't be overlooked. Its design & good looks are undoubtedly, its USPs. It looks simple & clean, just like the Asus Fonepad tablets. The smartphone I got was Charcoal Black in color but it is also available in Pearl White, Cherry Red, Twilight Purple & Champagne Gold colors. It is very slim (dimensions: 148.2x72.8x10.34mm) if compared to the likes of the Moto G and feels good in hand. It has rounded edges, touch-sensitive buttons below its screen and a curved soft-touch plastic back of top notch quality. It isn't too bulky and weighs just 145g. Most competitors in this segment weigh more and are not as comfortable to hold as the ZenFone 5. You can easily use it with one hand. It is very sturdy as well. I dropped the phone thrice but there were no functional problems, cracks or marks. The front is mainly dominated by its 5-inch screen that is reinforced by Corning Gorilla glass. Below it, you see a concentric circle finish that is clearly inspired by the Asus' ZenBook laptops' design. It actually doesn't affect the grip (though it looks as if it does) of the ZenFone 5 and adds a premium touch. However, the drawback here is that the propensity of the phone getting scratched increases due to this concentric circle finish. I used this device for 5 days and it got scratched in the first three days itself. On the rear, there is a removable panel with matte finish and 8-megapixel camera lens along with some Asus & Intel branding. On the right edge, there is the power button and volume rocker. On the top, there is 3.5mm audio port and the bottom has a Micro-USB charging port. As the name ZenFone 5 suggests, the phone has a 5-inch IPS HD screen with Corning Gorilla Glass 3 protection. Screen quality is good. It has a resolution of 720x1280 pixels for a density of 294 pixels per inch which is decent enough if not as good as HTC One M8's 441ppi. In my testing, I found that this pixel density makes the ZenFone 5 fantastic for web browsing as it effectively makes the text sharp & clear. The device comes with a new user interface, the Zen UI. It also comes with new TruVivid technology that produces a greater range of rich & natural colors. The viewing angles are good but the legibility under direct sunlight is just average. All ZenFones are powered by Intel Atom processors. The ARM chips from Qualcomm or MediaTek which are generally seen in the smartphones of this segment are not used in the ZenFone 5. It has a dual-core 1.6GHz Intel Atom Z2560processor with Hyper-Threading technology that allows every core to execute 2 instructions at a time. It is backed by a Qualcomm Snapdragon 400 processor which is clocked at 1.2GHz. Android 4.3 OS is being used. It has 2GB RAM and an internal storage of only 8GB but you can expand it to 64GB via microSD card. The feature I spent most time in these five days was the camera. The phone comes with an 8-megapixel autofocus rear camera (with an f/2.0 aperture lens & LED flash) and a 2-megapixel front camera. The company says that it uses PixelMaster technology that combines hardware, software & optical design to deliver high quality images. From my experience, I can say that this camera is the Asus's best asset in the market today. The rear camera gives detailed & very vibrant images- much better than those produced by most smart phone cameras. Its software based image stabilization is perhaps on par with that of iPhone. In normal daylight, pictures are always awesome but thanks to its low aperture, it captures good amount of light even in low light conditions. Due to its 5-element lens, the sharpness is also good. The video quality is also very good. There is an unending list of the available camera modes. Some of these are Time rewind (which automatically records images two seconds before & one second after you press the shutter button and captures a total of 31 images to choose from), Selfie (automatically detects a face within the frame), Smart remove (removes all unwanted moving objects from background), Beautification (adjusts subject's looks in real time), GIF animation (converts photos into animation), HDR (enhances the highlights), Panorama, Night, Low-light and Miniature. Of all these, I feel the Low-light was really cool as it captures images at 2 megapixel resolution but enhances them with so much of light that it seems they were taken in near darkness. The intelligent camera software automatically notifies the user when there is a need to switch to the Low-light mode. There are also a myriad of manual controls including ISO, camera resolution, exposure & white balance so that you can experiment more if you are a photography enthusiast. For connectivity, you get Bluetooth, WI-Fi and HSPA+ connectivity but NFC is absent. The phone has so many apps. I have mostly used only mildly-customized versions of Android like those in Motorola handsets and this one was a complete surprise. The long list of apps include What's Next (an app for tracking & managing apps), Zen Link (includes Share Link, Party Link, PC Link & Remote Link apps), Do It Later (an app that manages the to-do-list), Asus WebStorage (Asus's cloud storage app that offers 5GB free for lifetime) & Omlet Chat (a free instant messaging app). 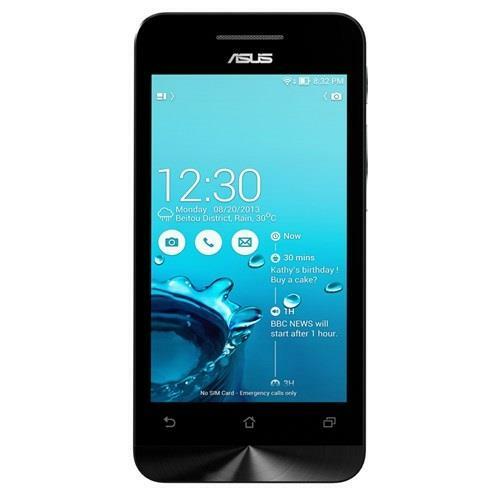 The Asus ZenFone 5 comes with a 2110mAh battery which is very good for any handset with HD screen. Intel phones are generally known for poor battery life but the new Asus phone proves it to be wrong. I used it heavily (including web browsing, streaming music off Google Play music, a lot of photography, Facebook, Twitter, 3 email accounts & three hours calls) and yet the battery lasted all day. If you still think that the battery life is less, you can increase it for two hours by using smart phone based smart battery saver. Asus ZenFone 5 will be launched on July 9 so its price are not yet revealed but expect it to be less than Rs.20000. The new ZenFone 5, if priced below Rs.20000, would be the best camera phone in this segment and as the segment also includes Nokia Lumia 920, it in itself says a lot. If you are looking for a mid range camera phone, your search will end soon.